Integrity Naturals came out with some new products and labels for their revamped company a few months back, but there are still some stragglers that need to be captured by the camera! Product photography is always essential for any business that wants a successful online presence, but even more so when you undergo a company makeover. New look, new products, new photos. Let’s take a look at these totally natural and 100% good-for-you products! 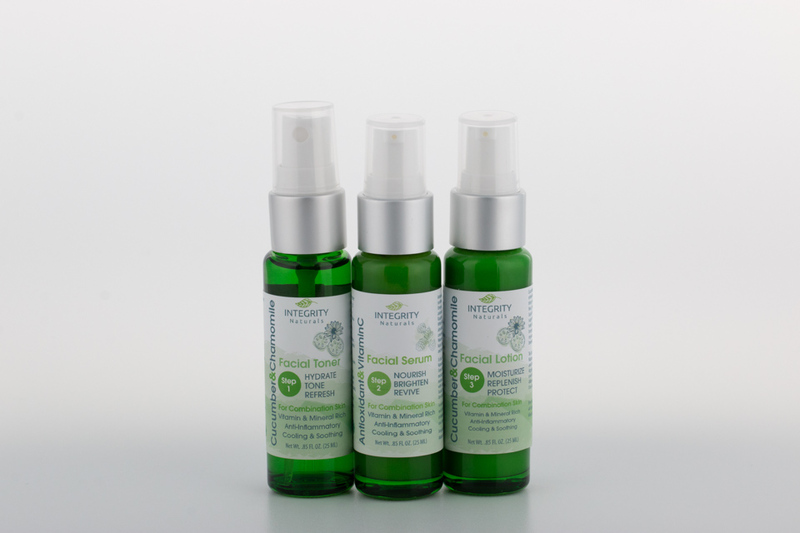 The cucumber and chamomile trio of facial products for combination skin. 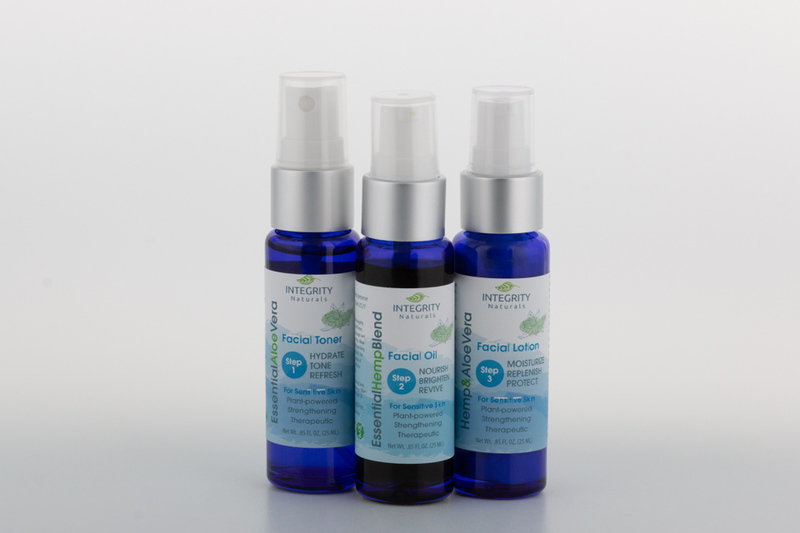 Rosehip and hibiscus facial products for normal to dry skin. Hemp and aloe vera facial trio for sensitive skin. 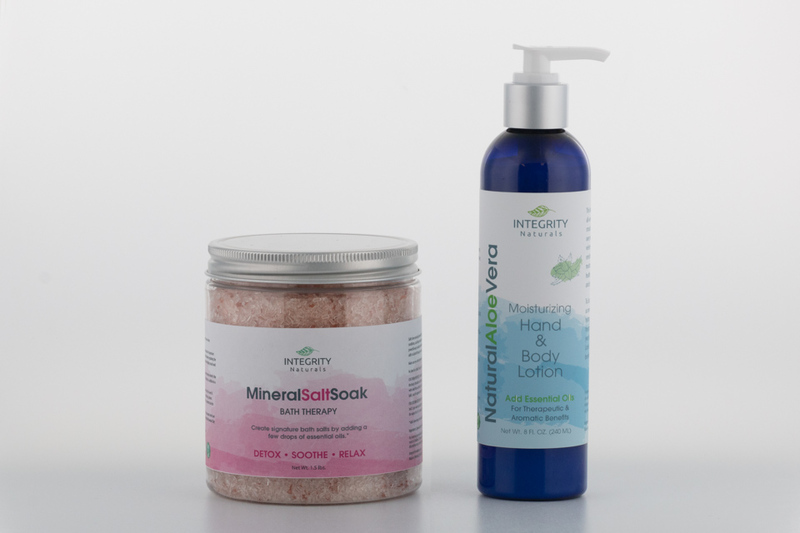 Mineral Salt Soak and Aloe Vera hand and body lotion. Peaceful Lavender hand and body lotion with essential oils. Also comes in happy orange, refreshing peppermint, and natural aloe vera. We worked with Integrity Naturals to photograph a display shelf of their line of skincare products. Integrity Naturals offers online ordering to anyone, but they also sell directly to other businesses. Portraying what a display shelf would look like is a fantastic idea to show current and prospective business customers what your products would look like on display in their own store. This was actually shot in the owner’s living room because of the challenge of transporting a glass shelf. So, the shot came with some challenges, but we think it turned out pretty well! The all-natural skincare line on display.